The Gear Box ! 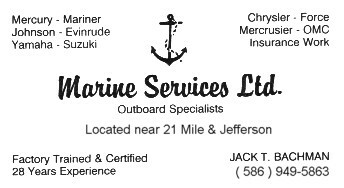 Marine & Industrial Sales & Service. 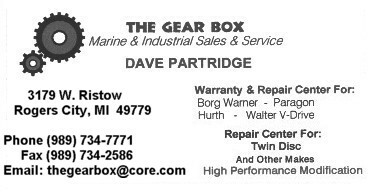 Warranty & Repair Center For: Borg Warner - Paragon - Hurth - Walter V-Drives. Repair Center For: Twin Disc & Other Makes! 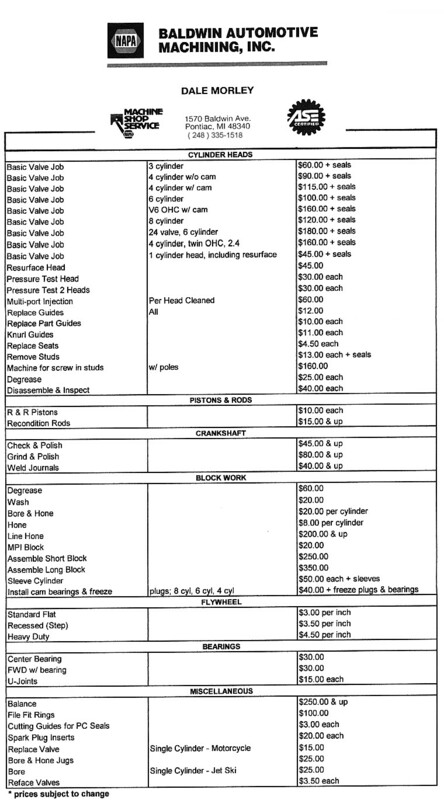 Discount Marine Parts ! 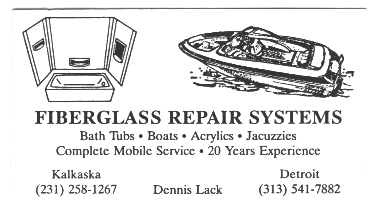 They are a Mercury & MerCruiser dealer located in the Upper Peninsula of Michigan. They sell many obsolete items. Boating Supplies, Boat Trailer Parts, Covers, Marine Electronics Discount boat accessories, trailer parts, marine electronics, boat covers, seats and thousand of boating - fishing related specials! The site by fishermen for fishermen. Nuwave Marine. We have been designing innovative products to make your boat parts last longer using our own boating experience and our customer' requests. Outboard Wizard Marine Store. 15-20% off OMC Johnson and Evinrude parts and accessories online. Shop located in Lindenhurst, NY. 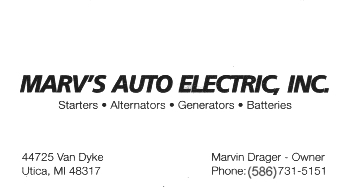 Engine Parts, Service, Warranty Repairs and more. If it's in the OMC parts catalog, we have it ! 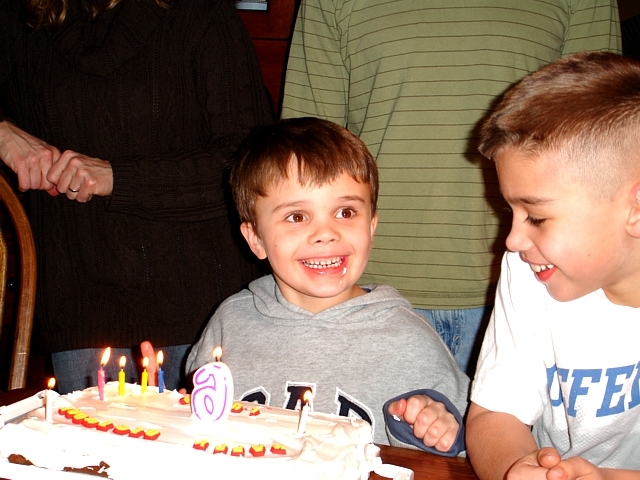 One of the most thorough sites you will ever see on any subject. Even the most advanced bass fisherman can learn something from this site! Gimbal Housing Repair Kits ! Stop the high costs normally incurred when your gimbal housing assembly is damaged or corroded. The GHR Kit is an affordable alternative. Jenson Lake Mower® ! Are lake weeds spoiling your fun. Imagine using your small boat as a Riding Mower. The Marine Do-It-Yourselfer Website ! It is a first-cabin production, created for people who seek sailing and boating information, and who like to perform their own boat maintenances and repairs. Whitecap Splashguards ! Guard - stay dry while backtrolling with whitecap splashguards! Alternator & Starter Rebuilding ! For Marine or Auto. Carburetor Shops ! Auto - Truck - Marine - Industrial. 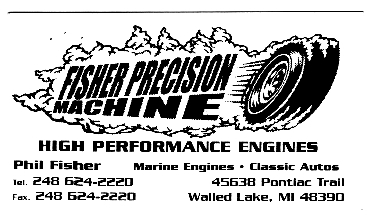 Engine Remanufacturing - Marine City, MI ! Cylinder head remanufacturing. Rebuilt engines and cylinder heads in stock. Contact Tim Parkham ( 810 ) 765-2927. 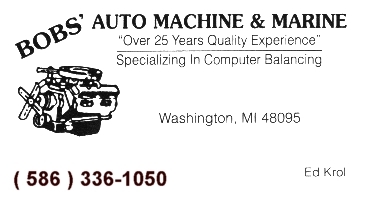 Engine Remanufacturing - Waterford, MI ! Cylinder head remanufacturing & aluminum welding. Rebuilt engines and cylinder heads in stock. Crankshafts and kits available. 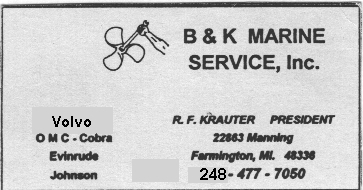 Engine Remanufacturing - Walled Lake, MI ! Cylinder head remanufacturing. Rebuilt engines and cylinder heads in stock. Engine Remanufacturing - Washington Twp. MI ! Cylinder head remanufacturing & aluminum welding. Rebuilt engines and cylinder heads in stock. Contact Ed Krol ( 586 ) 336-1050. 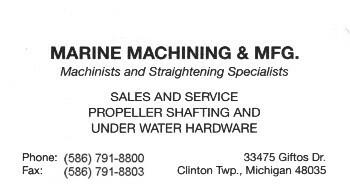 Marine Machining & Mfg. ! Manufactures propeller shafts for all inboards. Also straightens propeller shafts & rudders. Mobile Fiberglass Repairs ! Boats - Bath Tubs - Jacuzzies. O M C Repairs ! Farmington, Michigan area. Also does outboard motors. 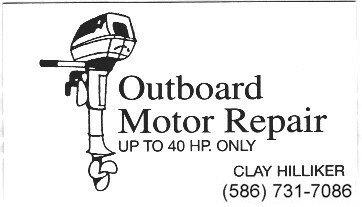 Outboard Motor Repairs - New Baltimore, MI ! All makes and models. Also does sterndrives. 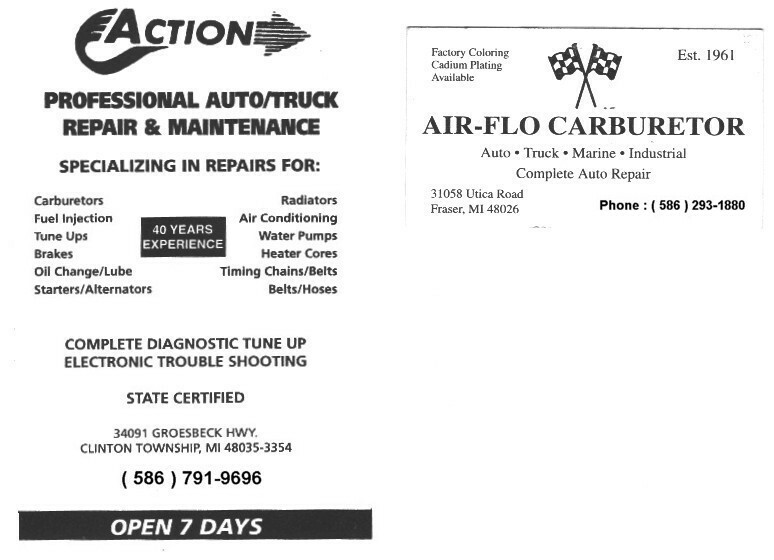 Outboard Motor Repairs - Utica, MI ! All makes and models up to 40 HP.